The lovely Emily from Nailsxo invited me to take part in her World Cup Nails 2014 challenge. Each participant was given a country playing in the World Cup and asked to create nails based on it. I got Ecuador! I am not too familiar with Ecuador except it is next to Peru, which so happens to be half of where I am from! I was a little nervous for this challenge. I butcher flag manicures and I am not the biggest fan of futbol/soccer. I know, I know, I make the worst Peruvian-Indian EVER given the sport is so huge in both countries! I took to the internet and upon further research I learned the Galapagos Islands are part of Ecuador! I had no idea! Being a Zoology major, I have studied quite a bit about the Galapagos so I decided to base my manicure on that very large part of the culture. Did you know? Ecuador is considered the most biodiverse nation per kilometer! I included a couple of photos because I L-O-V-E how wonderful the base of these came out! Love the concept and the outcome both! Thank you so much!! I read the bit about how Ecuador was the most bio-diverse country in the world first, found out later the Galapagos belong to Ecuador and it made sense the country would be the most biodiverse!! I loved reading this post, it was really interesting! 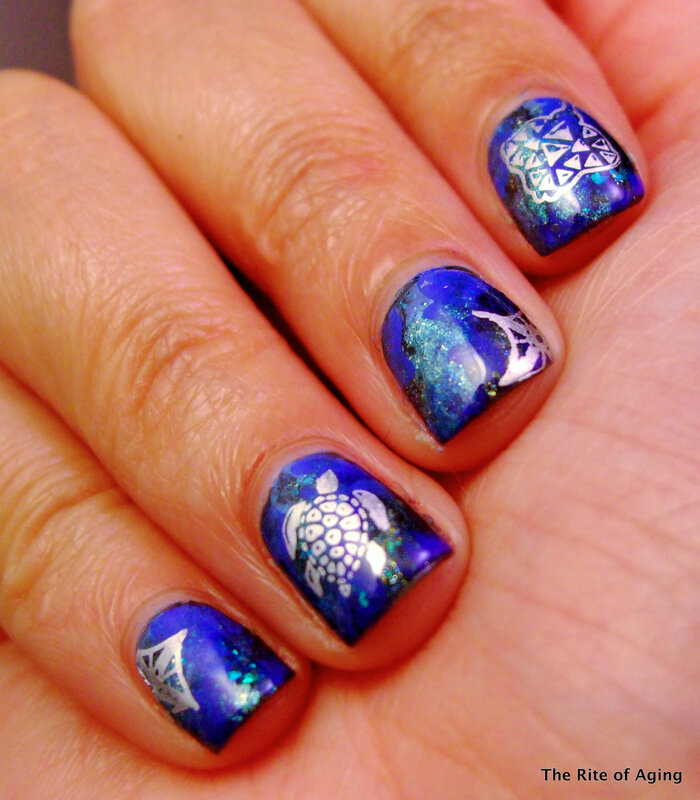 And as for your nails… WOW! They are so beautiful! They have such depth to them, I can’t get over how awesome they look! This was such a cool idea and you pulled it off so well, thanks so much for taking part and good luck!!! Thank you so much again, Emily, for putting this challenge together! 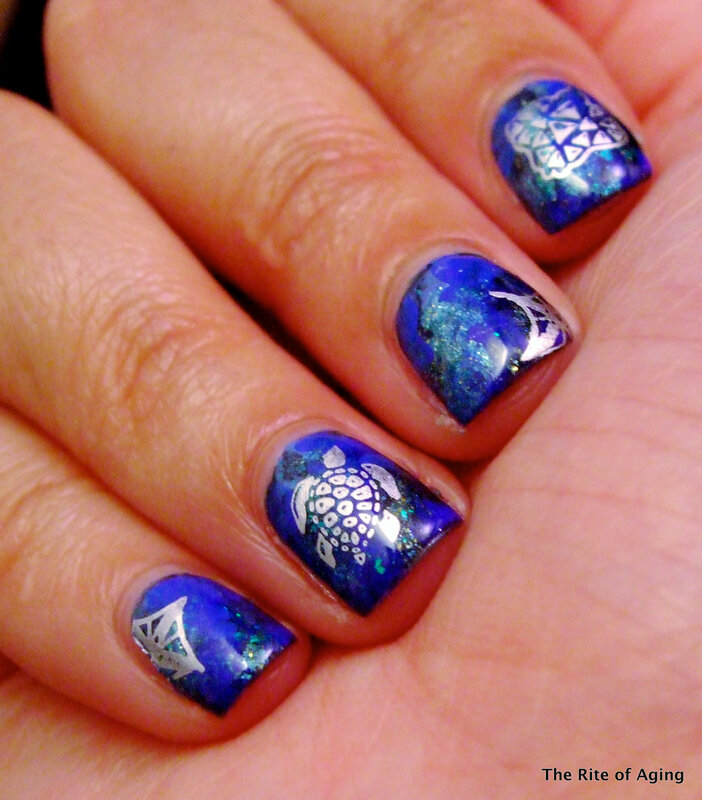 I learned new information on Ecuador and got to do nails based on my interest in marine biology!! 🙂 This was really fun to do so I am glad you like them! !